Brady Tutton Photos, News, and Videos | Just Jared Jr. The American Idol finalists are going on tour this summer, and In Real Life is going along for the ride! 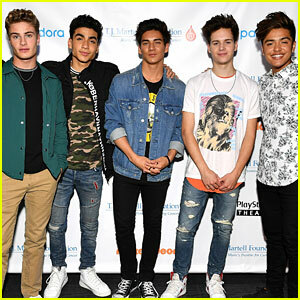 The Boy Band winners – Brady Tutton, Drew Ramos, Chance Perez, Michael Conor, and Sergio Calderon – will be the opening act, Variety reports. After a two-year break, the American Idol live tour dates will be revealed on the show this Sunday (May 6) as the final seven contestants compete during the Prince-themed night. According to a source, the venues will be small to medium-sized theaters. The tour is scheduled to run for at least eight weeks, kicking off on July 1. In Real Life Goes on a Date With a Fan - Watch Now! Would In Real Life take a fan on a date!? 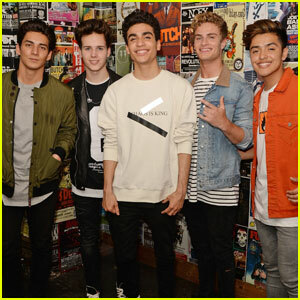 It looks like the guys – Sergio Calderon, Michael Conor, Chance Perez, Drew Ramos and Brady Tutton – totally would because they just went speed dating with a fan! In Real Life teamed up with iHeartRadio to take one of their biggest fans named Hannah on a few quick dates! Each band member got 60 seconds to find out more about her and time passed by a lot faster than you’d think! Also pictured inside: IRL stopping by Hits 97.3 for a performance on Friday (April 20) at Revolution Live in Fort Lauderdale, Florida. In Real Life Sing in Spanish on New Track 'How Badly' - Listen & Download Here! 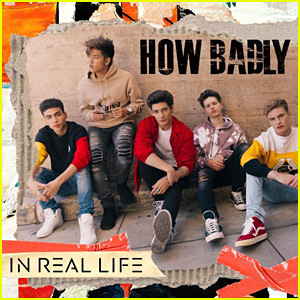 In Real Life just surprised fans with another brand new song called “How Badly”! 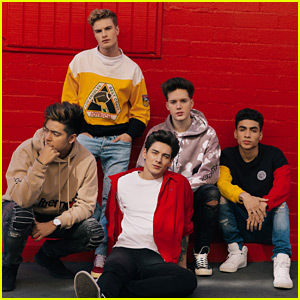 The guys – Sergio Calderon, Michael Conor, Chance Perez, Andrew Ramos and Brady Tutton – even sing in Spanish on the track! This is actually the first time the band is singing in Spanish on one of their songs. “Have your aux chords, speakers, or headphones ready for tonight! This song has to be blasted on them to get the full experience. Thank you,” In Real Life boasted about the track on Twitter. Grab “How Badly” now on all digital retailers!